Thanks to good friend and fellow green car enthusiast, David Brussin, CEO of inherently green Monetate, I attended a great party last night, superbly hosted by New York mega-agency IAC, where the guest of honor was a stunning new emissions-free car, the all-electric Tesla Model S Sedan. While David chatted with Tesla CEO Elon Musk, I had a chance to discuss the Tesla S design challenges with Chief Designer Franz von Holzhausenon. He said that in many ways the challenge was to avoid being too audacious, given the freedom afforded by an electric power train (like the absence of a large engine up front and a large fuel tank in the rear). The role of this sedan is to get mainstream consumers excited about an all-electric vehicle without coming across as far out. In my opinion von Holzhausenon has succeeded on all fronts with this design. It would be a head-turner if it was a regular petroleum-powered car. As an electric it will turn even more heads, even though people won't hear it coming, or going. Later in the evening we hooked up with Green Car Reports Editor-in-Chief John Voelcker and went for a test drive in the sedan. A very short test drive, but enough to leave a lasting impression, of amazing acceleration--accomplished in almost complete silence--and of terrific cabin space design. John has a more detailed write-up here. BTW, during my chat with von Holzhausenon I was gratified to hear him acknowledge Coventry's continuing role as a source of automotive design and engineering talent. An excellent evening all round. There is at least one bright spot in all the gloom surrounding the US auto industry today: Fiat might soon own a big slice of Chrysler Jeep Dodge. Why is this good news? Fiat makes some cool stuff, not the "least" of which is the ultra-cool Fiat 500. And the deal with Chrysler may bring this affordable high mileage mini-car to America. Italian automakers have always had the ability to sell their vehicular technology on the basis of lifestyle and aesthetics (c.f. Ferrari, Alfa Romeo, Lambretti, Ducati). The new Fiat 500 is no exception, except it is undoubtedly more reliable than the old Fiats most Americans have known (a.k.a. Fix It Again Tomorrow). This remake of the original mini-car from the 1950s and 60s is really exciting stuff. Even Top Gear's Jeremy Clarkson was impressed. 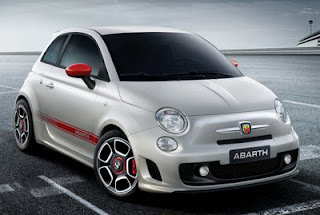 And check out Motor Trend raving about the fiesty 500 Abarth pictured here. Also check out design of the Fiat 500 web site. Also cool. And there's talk of a diesel version and an electric version (of the car, not the web site). What's not to love? As to reliability. I've rented Fiats on several trips to the UK in recent years and had no problems. In fact, I even owned a Fiat Strada in the U.S. in the 1980s, probably the last time Fiat had dealership arrangements this side of the Atlantic. I put a lot of highway miles on that little hatchback across many Western states and I don't ever recall it failing to start (I even cut a hole in the roof and fitted a sunroof--but that's another story. The Italian connection continues in our diesel Jeep Liberty, the engine of which is sourced from Italy. We've put 38,000 miles on it since late 2005, through all kinds of weather including deep winter. It's towed big trailers for days with no complaint. I like it. I also like the idea of Chrysler Jeep Dodge dealers carrying small Fiats. If they do it right, I'm thinking they could sell like hotcakes. Brits Go For Steam Car Record! Given the connection to John Cobb, the first person to exceed 400mph in a wheel driven car, and to Coventry, home of the fastest car in the world today, I thought this video news story was great, headlined "A British team is looking to beat the speed record for a steam-powered car. The current record has stood for 103 years, having been established at just over 127 miles per hour in 1906. At that time, that speed, achieved by a steam powered car, was THE world land speed record (LSR). That record stood as the LSR until 1910 when it was narrowly eclipsed by a combustion-engined vehicle. For the whole story, check the official site. 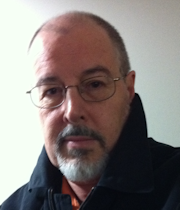 Last weeks' news item about "Suicide by F-16" sparked several thoughts, happily none of them suicide-related. Have you ever experienced the "suddenly they're everywhere" phenomenon? For example, your friend takes you for a drive in her new car, a model you've never really noticed before, and in the next few days you see loads of these cars and it's like all of a sudden they're everywhere? Well the same thing happened to me with fighter jets. One day a pair of F-16s are scrambled by Wisconsin Air National Guard and the next I'm seeing all sorts of F-16 related stuff. Admittedly, I went looking for some of it. Like the Air National Guard thing. I was curious about how many American states have their own fighter jets. Turns out a lot of them do. Have you ever flown into a commercial airport, on a commercial flight, but seen some military planes parked away on the far side of the airport? In America those planes often belong to Air National Guard of the state in which you are landing. Checking out the "local" air guard, I found that the military jets I had noticed at Syracuse airport, which I sometimes fly from, were F-16s from the 174th Fighter Wing of the New York Air National Guard. Purely from a design and engineering perspective, the F-16 is an impressive machine. The design has a sports car look to it and performance to match. The F-16 has a thrust-to-weight ratio greater than one, which means it has enough power to climb and accelerate vertically. F-16s are used by several flying demonstration teams including the USAF Thunderbirds and the Royal Netherlands Airforce F-16 DEMOTEAM. The cockpit, which comes in one- and two-seater configurations, is designed so the pilot's position is semi-recumbent, rather than sitting up straight. Apparently this helps pilots handle the terrific G-forces the plane is capable of generating during maneuvers. So as I am Googling through this stuff I find out that the the 174th Fighter Wing is losing its F-16s. They are being replaced with Reapers. What's a Reaper? An MQ-9, a.k.a. Predator "B", as in great big brother to the Predator drone. The Reaper is an unmanned aircraft with a wingspan wider than a regional passenger jet and the ability to stay aloft for over 40 hours while carrying hundreds of pounds of bombs and missiles. The Reaper is worthy of a separate blog post, but the point that caught my eye about this huge shift for the New York Air National Guard is the effect on pilots. Out of 30 F-16 pilots with the 174th, only 20 are staying on to fly the robot planes. Which got me thinking. Maybe a shift to drones will help the commercial airlines, who are finding it hard to get experienced pilots. I'm also wondering if the Reapers will be physically based in Syracuse, in which case I may see them on my next flight out of there. But being drones, I guess it's possible that they could be flying anywhere, while still being piloted from Syracuse. And that's what I call a trip. The Cost of Suicide by F-16: Depends on who pays for the petrol? As reported by the AP, a flight student who stole a plane in Canada was attempting "suicide by fighter jet." His attempt failed but I'm thinking how do you even try that? Ever wonder what an incident like that costs the government agencies that have to deal with it? Things like the fuel for those F-16s for example? Word on the street says the cost of jet fuel used in this incident was, wait for it: $800,000. Mr. Leon was apparently unhappy when he embarked on this journey. I think he's going to be even unhappier if they ask him to chip in for the gas. I have to begin this post with some apologies. Two people commented on past posts and I didn't notice. I have only just approved their comments. Zut alors! I will change my comment settings. The name of the car is actually "Deux Cheveaux" which literally means "Two Horses" or 2 horse power. You have written "Deux Cheveux" which means "Two Hairs"! This was a major typo on my part. I did know that the Deux Chevaux got its name from its 2 horse power motor, I just flunked French on that post. That's a pity because I like French, the language, and many other things French, like the smell of diesel in the morning while sipping a café crême and eating a croissant outside a French café (and yes, I do know why they are crescent-shaped). I take some comfort in the fact that I am not the only person to make this mistake. There's a very nice Flickr photo of a 2CV labeled with my spelling. And Googling my spelling turned up this enjoyable NY Times article on the 2CV appropriately titled Plenty of Smiles Per Gallon. 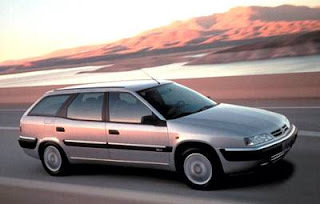 Of course, the picture in this post is NOT a 2CV but a more recent Citröen, the Xantia. This is similar to an earlier model my brother owned, the station wagon version of which had an enormous storage capacity and superb suspension that was able to lower the tailgate for loading and avoid the nose-in-the-air effect of carrying heavy cargo. Like most European cars it cruised smoothly and effortlessly at 100mph. Which brings me to my second oversight, an unmoderated comment about diesels and their efficiency, from someone who runs his diesel Citröen Xantia on used vegetable oil. And apaprently this is even better for emissions than ultra low sulphur diesel. The person said: "It has an output of only .75% co2 against a figure of 2.5/3.00% published by the manufacturers...and I get MY fuel from the local takeaway!" Anyone for cod and chips and a gallon of veggie oil? Ah, I love the smell of cooking oil while sipping a pint of Stella on the patio on a mild Spring evening!